Home / vedic culture. / caste,creed, dharma religion and marriage in Indian caste system. caste,creed, dharma religion and marriage in Indian caste system. Caste is a demarcation for the people who believe in Indian caste or who belong to Hindu religion. 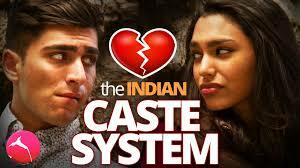 The caste system has created with a sharp knowledge to ruled over other caste or lower caste in Indian sub-continent. 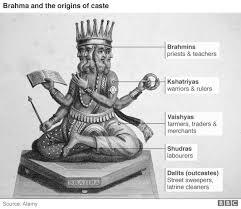 But caste system has played a vital role in civilization to divided them into different caste according to there birth and according to there duty which was prescribed to perform by someone that is the place where caste system comes in force to force people to perform there duty. What is a caste system in India? Brahmin - Upper caste who have to right to rule over all the caste. Kshatriya- This is the second upper caste which has to right to ruled over last two castes. Baishya- this is the third no caste who has right to do agricultural works and business works. Dalit - this is the last no in Indian caste system they don't have any right, but they have a duty to perform to fulfill the desire for upper caste people. These all above mention information are the examples of caste in India. and all our activities are work according to this caste system which has created many conflicts in India between these castes. What was the need of caste? there was a great conspiracy behind caste in India this caste system has created with a conspiracy to get full possession over all the resources in a particular region or country. Let's understand how caste system was created- this system was created long before you can see some examples in Ramcharitmanas or Mahabharata the great religious scripture of the Indian culture. Indian brahmin has created a great conspiracy to control over all the social facility just for himself and for there kith and kin, they thought if we divided all the people in caste and prescribed them that this is your duty and you and all your belonging will have to do this work forever, and this conspiracy has removed them from Indian administrative service. because when they have prescribed a people that you are a sudra and you cant read a book, you cant ruled like a Kshatriya or you cant do business like a Baisya. This job has bind sudra that your duty is just to sacrifice your life for the upper caste and this activity has removed more than 50% competition to them to getting a job or getting a better life. Next, they have divided all them to rule over them this is the real cause of caste in India and to prove this that it is gods decision they have to show Manusmriti a Hindu rituals scripture. What is said Manusmriti about Caste in India? According to Manusmriti Caste system has created to perform everyone's duty to maintain humanity and help everyone to achieve their goal in life and this caste system was not based on birth as the present time we are watching all the caste system is recognized by their birth. Manusmriti caste system was created by someone's knowledge, a knowledge can decide that a particular person would belong to that caste. not their birth will decide their caste. Indian priests have a great ability of conspiracy and they have used this just for their benefit and finally they have created a line that caste is a part of someone's religion (Dharm) to destroy all the conflict and people believed that because of my previous birth's bed work I got birth in a lower caste which is imperishable till this life and moreover to overcome this lower caste life in next birth you must have to offer money, ornaments, lands and many more thing like this to the Brahmin. this was the point which compels people to think about caste and dharma (religion) and finally, many Hindus have changed their dharma. this is a very small example of the caste system and dharma. Remember a brahmin never accept that anyone who belongs to lowers caste ruled over them. we have an example of (Eklabya) when he learned the art of archery which was unacceptable by Dronacharya and he asked him to offer his thumb to demoralized Eklabya, we all know if you think a little bit you will get it is true. according to caste and its rule life became very critical to living it bind a people from many ways we should allow everyone to chose their life partner for shadi, to develop a happiness in society we must free caste with shadi. as we all know we all are free from birth god have given all the power equally to everyone but in our society, this power takes a political position which driven by some religious type person and they rule over us according to their will. they don't care about dharma they just do as he wants. I have a reason behind it as our Bhagwatgeeta says all are my incarnation and everything would merge in me there is nothing out of me everything is I they're where is a place of caste, this caste system has found out after a conspiracy to rule over the entire subject.